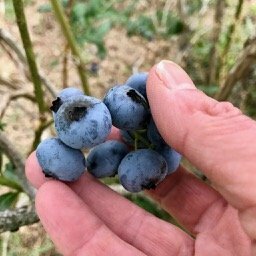 July 7 – Blueberries Phase II – lots more! Open Friday, Saturday, and SUNDAY morning! We have PLENTY of Bluejay and Bluecrop at the moment – come and get them! End of the week schedule: Friday (7/7) and Saturday (7/8) open 7 a.m. to 12:00 noon; this Sunday (7/9) open 8:00 a.m. to 1:00 p.m.!